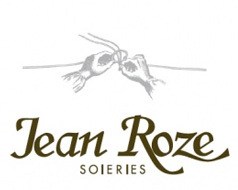 Miss Antoinette ROZE, your company, Jean ROZE, is one of the French members of the Henokiens Association, could you please present yourself to our readers? > Antoinette ROZE : I'm from the Tours area, from a family of silk-weavers established in the city since the 17th century. My father spent most of his time in the workshop, and even I worked there to earn my pocket money. The requests of my school teachers, however, led me to understand that my father's profession was different from those of other parents. I had to bring in pieces of fabric and talk about silk. It was only little by little, and quite late moreover, that I really became aware of the particularity of my family and of its history. I took over the company when my father passed away in 1986. > AR.  : It was in the 19th century that silk manufacturing began to specialise in producing fabrics for furniture, a sector allowing for customised, small-scale, high-quality production. These were specificities well adapted to our firm, of small size and far from the other textile production regions. > AR. : In 2000, we opened the dyeing workshop. This activity is closely related to that of weaving while being quite removed from it from a technical point of view. The closing of the workshop of a local sub-contractor led us to replace him ourselves, particularly because the distance between us and other possible partner workshops made daily exchanges difficult. The other important event is obtaining the label "Entreprises du Patrimoine Vivant" in 2006. > AR. : I have two priorities: working on the development of new fabrics and enriching the collection that we propose to our clientele. In addition, I am working on the transmission of know-how within the firm. > AR. : Our firm has been lucky in having at the helm the right person at the right time. These people were passionately involved and were, above all, silk manufacturers before being entrepreneurs. > AR. : This gives you credibility, particularly when you belong to the decoration and skilled craft sector which demands, through the expectations of the public, mastery of the tradition and know-how that have come down through the centuries and which are a guarantee of quality. > AR. : This is very important, particularly when working in the sector of historic monuments or equivalent is concerned (particularly abroad). > AR. : Certainly being attentive to the origin of the capital that you might need and not be dependent on structures that have no interest in your activity. > AR. : There never was a choice to make between several possible successors. It was rather a question of non-choice on the part of those who took the succession. That's true, certainly, for the last 5 generations, including mine. > AR. : Don't force, and ensure the competence of possible heirs. > AR. : Be passionately involved, don't create a firm just to create a firm, but have a project, master a competence that will be the core business of the firm.